Since it’s launch, the Ferrari Portofino has taken its mission to provide the best driving experience possible very seriously. Faster, more comfortable, more efficient and smoother than its California T predecessor, there is plenty to love about the new 2018 Ferrari Portofino. 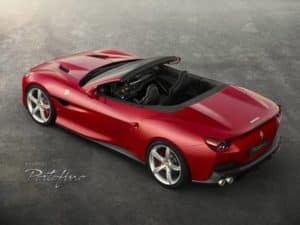 A turning point for the Ferrari brand, there are several elements to the Portofino that set it apart from rest of the high-end performance vehicles on the market today. When you hear about the 2018 Ferrari Portofino, we’re sure it’s outstanding performance, breath-taking Italian style, and game-changing efficiency are going to be the biggest talking points. And while these features go a long way to create the one-of-a-kind driving experience you can only get behind the wheel of the Portofino, there’s even more that sets this coupe apart from the rest. Here are a few details that set the 2018 Ferrari Portofino apart from other sports coupes. Unique to the Portofino, a passenger-side, elongated 8.8-inch LCD touchscreen is featured, which allows the passenger to display a separate set of data from the driver’s touchscreen. This passenger screen can show anything from performance specs like road speed and rpm to Navigation prompts and entertainment options. All of this functions separately from the larger screen located on the center stack. This feature allows the passenger to easily adjust the audio in the Portofino, without requiring navigation or other apps on the main screen from being affected. When you look at the perfectly sculpted body of the 2018 Ferrari Portofino, you know that its dynamic body lines are designed for more than just style. The body lines featured throughout the exterior of the Portofino function as vents and channels pressed into the Portofino’s front fenders, creating an improved aerodynamic flow. When it comes to performance vehicles, automakers look to cut down on weight anywhere they can. Ferrari does this perfectly by replacing previously heavy items with lighter alternatives such as its magnesium seat frames, which engineers say trimmed 53 pounds off of the Portofino’s interior weight, while also allowing a slimmer seat design that translates into more leg and knee room compared to the California T. The Portofino also lost 70 pounds in its frame by switching to aluminum undertrays. By decreasing the weight of the Portofino, the car is able to achieve both better performance and efficiency. 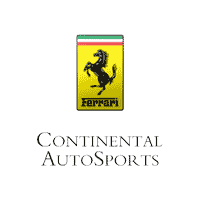 If you’re interested in learning more about the 2018 Ferrari Portofino, be sure to take a look at the rest of our blog or give us a call here at Continental Ferrari. We’ll be happy to answer any questions you may have about this impressive model.